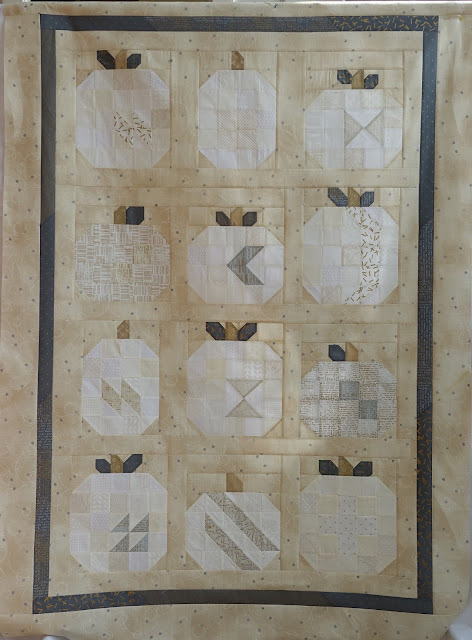 Cupcakes 'n Daisies: I Love a Good Pumpkin . . . .
After seeing dozens of pumpkin quilts on social media, I just couldn't help myself, I decided I needed a pumpkin quilt too. 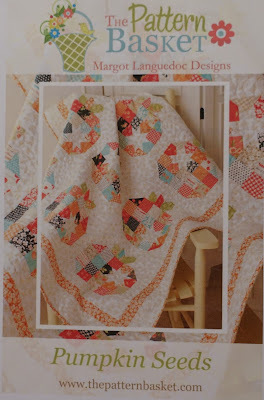 There are several great pumpkin patterns available, but I chose Pumpkin Seeds by The Pattern Basket for my pumpkin quilt. Have you noticed the assortment of real pumpkins these days? White and blue pumpkins were very popular at my farmers market, and the inspiration for my version of Pumpkin Seeds. It also helped that I had depleted my orange stash making my Halloween Blooms, no orange pumpkins for me, this year. I did "Thelmaize" it just a tad. First off, I decided not to put stars in the pumpkins, I thought it would be fun to come up with a different design for each one. 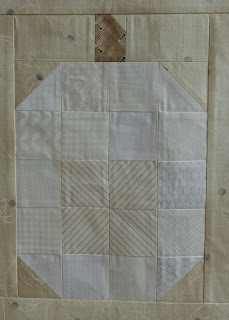 Here's a block that is exactly like the pattern, other than the star. I also rotated some blocks to make them tall instead of short. And I added a row to a few of the pumpkins, to make them bigger. And end in the end came up with this. 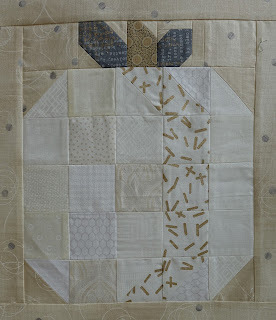 It finished at 49" x 69"
The background fabric is by Janet Claire for Moda, the line is called Nocturne. The sparkle fabric is Luster by Zen Chic for Moda. It has approximately 485 pieces. And here are my Village scrap houses! Those pumpkin blocks are easy to piece, and fast. Now I need a new fall project to tide me over until I start a Christmas one. I love your version of Pumpkin Seeds. The fabrics a refreshingly different from many of the pumpkin quilts that I have seen lately. You made good use of the scraps in your houses too. 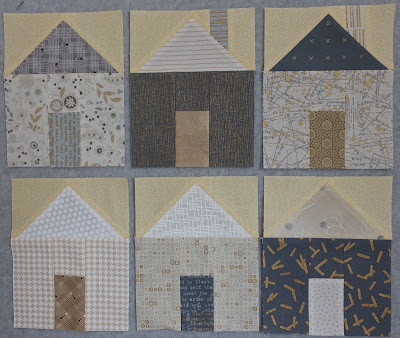 The house quilt is going to be very interesting. Your pumpkins are very, very nice, Thelma. Love the white pumpkins. TFS and the inspiration! Sure do like seeing what you come up with and you never fail to amaze me Thelma. Your white pumpkins are great and what a splendid idea...love it! I love the background fabric! The pumpkins are great, both the original and your version! Really really really love your interpretation of an already wonderful pattern! Looks great, Thelma. I loved the designs that you incorporated into your pumpkins. I hope that all is well down there!! 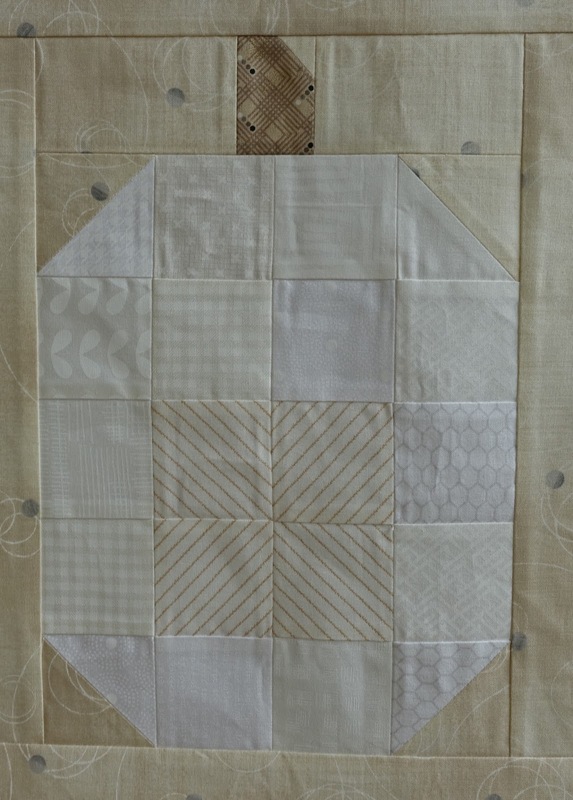 Love your white pumpkins quilt! Great Thelmaizing; as usual, you made the design your own. So inspirational! This white pumpkin quilt is Stunning ! You always amaze meow you make your quilts your own . I love your "Thelmaized" quilt. The colors are beautiful. 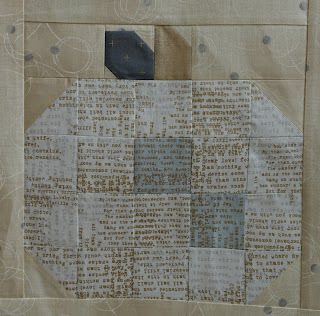 Your version of the pumpkinquilt is beautiful. The houses look also great! 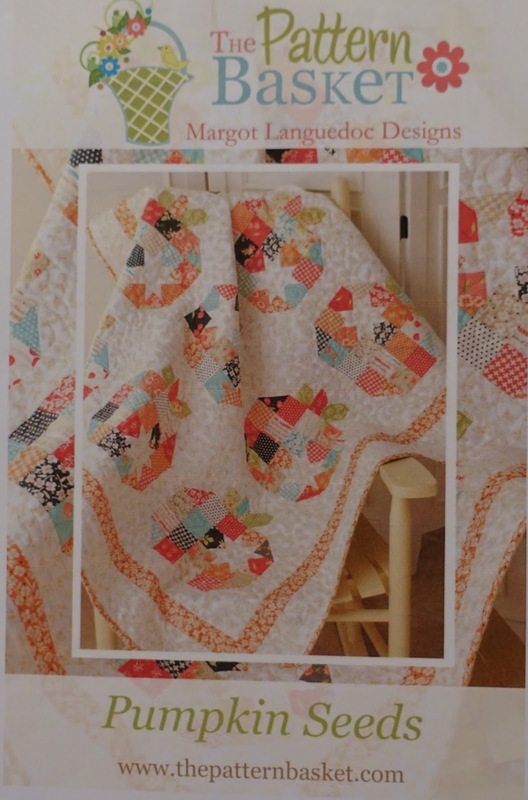 Wowsers--another great Thelma quilt! 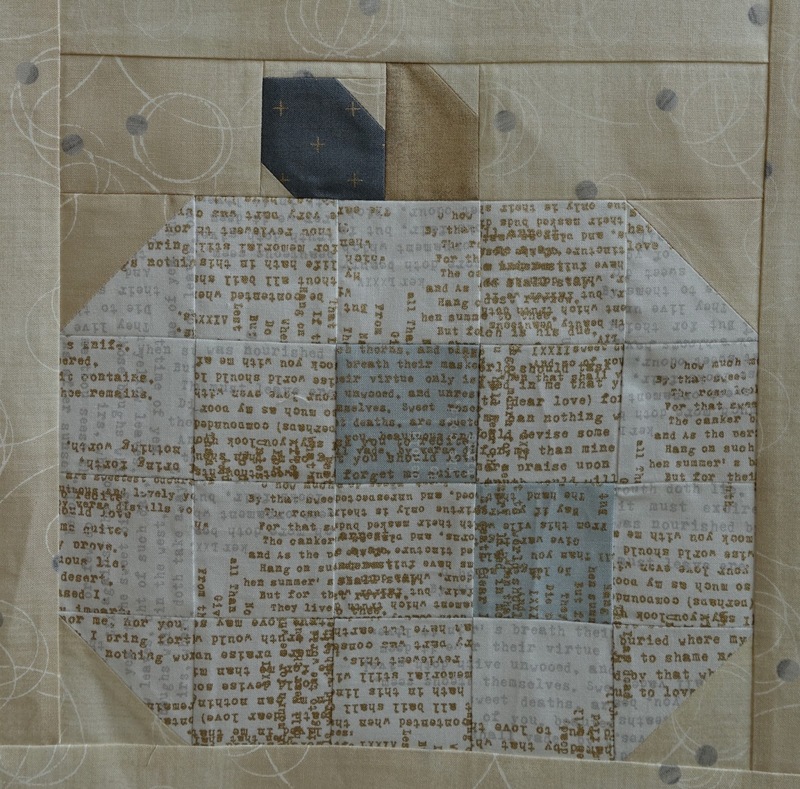 I always love seeing the different touches you put into your quilt tops, and this is no exception. I, too, love all the different colors of the pumpkins. Bravo on this great top!